MITID Institute of Design admission will start for the year 2018-19. MITID Design Aptitude Test is conducted by MAEER's MIT Institute of Design. MITID DAT 2018 provides admission to candidates in Graduate Diploma program of 4 years (8 semesters) duration intensive professional program. MITID offers undergraduate & postgraduate admission in Communication Design & Industrial Design. This page covers all the details of the MITID Institute of Design such as eligibility criteria, application process, fee structure, selection process, etc. MIT Institute of Design is a constituent unit of proposed "MIT ART DESIGN & TECHNOLOGY UNIVERSITY " a self-financed state private university as per Act passed by Government of Maharashtra. To seek admission in MITID, the students have to clear the admission process comprising of Design Aptitude test followed by studio test & personal interview. The candidates applying for the Design Aptitude Test for the admission in MITID Institute of Design should have passed or appeared in Class 12 Board Examinations irrespective of the stream. The candidates should ensure their eligibility before filling the application as because if the application form found incorrect, then the institute holds the right to cancel the application request. The basic eligibility for admissions in the M.Des Program is Graduate or its equivalent (10+2+3 minimum), the students have to clear the admission process comprising of Design Aptitude test followed by studio test & personal interview. Applicants have to apply online for MITID Design Aptitude Test and can make the payment of application form fees by drawing a demand draft in favor of " MIT ID Pune" payable at Pune. After filling the online application form, the candidate has to take a printout of the completed application form, paste their current ID card sized colored photograph and send the duly filled form along with demand draft to the following address before the last week of January 2018. Pune Solapur Highway Pune – 412201-INDIA. MITID DAT 2015 Admit card etc. The attachment below shows the documents to be brought by the different category of the candidates from the Maharashtra state and other than Maharashtra state. Application Fees are different for all the categories. The candidates belonging to the respective categories must pay the required application fee. The fee has to be paid through online mode only that is credit card/debit card/net banking. Candidates shortlisted on the basis of their scores obtained in Design Aptitude Test will be called for the second phase which includes Studio Test and Personal Interview at MITID campus in Pune. The two phases of the Admission Process are described below. MITID is offering 7 B.A Hons Integrated programmes in association with various Foreign Universities from the year 2015 onwards. The list of all the seven courses is listed below. 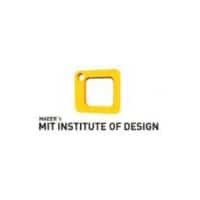 The MIT Institute of Design grants full or partial scholarships to 5% of the total students each year. It depends on their performance and financial need. The student once admitted to MITID can apply for the scholarship programme. The scholarship is offered by the MITID Institute of Design for the candidates who are academically brilliant. The students can apply for the scholarship once they get admitted to the MITID.